Ask any long-married couple, and they might give you different answers as to the secret of their happiness. 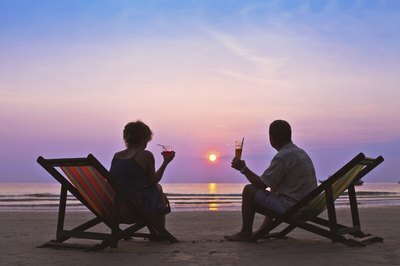 However they manage it, any couple that reaches their 30th wedding anniversary deserves to celebrate it in style. And although what constitutes "style" will differ from couple to couple, make your celebration unique by focusing on and celebrating that magic number 30. 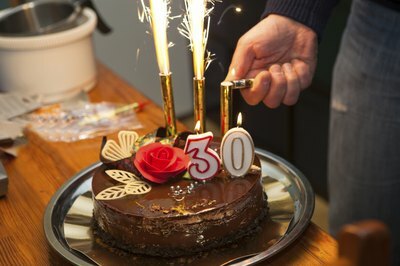 Food is an integral part of any celebration, and your 30th anniversary should be no exception. Traditionally, the 30th anniversary is the "pearl" anniversary, so extend this theme in creative ways when it comes to the food, whether you are having an intimate dinner with an oyster appetizer or a lavish party featuring a three-layered cake decorated with candy "pearls." Use a special knife, inlaid with mother-of-pearl, to cut the cake. Use round ice-cube trays to create shimmering "pearls" for the drinks, and drop a pearl ring -- or pearl cufflinks -- into your wife's or husband's drink for added romance. 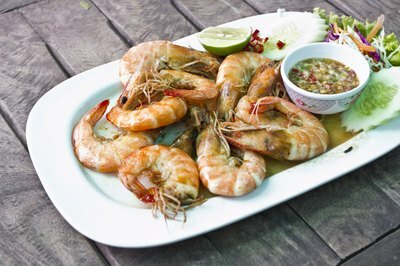 Extend the seafood theme into other food selections, such as seafood stew for a casual backyard affair, or an extensive spread of seafood delicacies for a more formal party. Parties are always a good way to celebrate an anniversary, but go the extra mile and make your party reflect the 30 years you've spent together. For a nostalgic feel, decorate and dress in a style from 30 years past or post pictures from each of your 30 years of marriage on a poster board. Invite exactly 30 guests, and play games such as "30 Questions." Finally, make a list of 30 things you love most about your spouse. Read the lists aloud at the party, and there might not be a dry eye in the house. The 30th wedding anniversary flower is the lily. This stately flower -- of which there are hundreds of cultivars to choose from -- symbolizes beauty, devotion, magnificence and pride -- all worthy characteristics to describe a long and loving marriage. Bring your loved one a bouquet of lilies, or better yet, plant some lily bulbs in a container so your spouse can see the tangible reminder of your love bloom year after year. 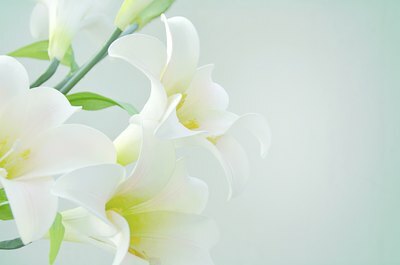 A painting of a lily or a pin shaped like a lily are also lasting reminders of your anniversary. Consider doing something for just the two of you -- after all, a marriage that has lasted 30 years deserves to be celebrated with a little romance, and maybe a dash of adventure as well. Consult a map and see if there is a state route 30 nearby, and then plan a road trip. Another option is a staycation: Pop in a movie featuring the number "30," such as "Zero Dark Thirty," "30 Minutes or Less" or, for something a little more lighthearted, try "13 going on 30." If you decide to get away to a hotel or bed and breakfast, try to reserve room number 30 for good luck. And if you want the celebration to last, go to the calendar and think of one fun thing you can do together per day, for 30 days of your anniversary month.